This entry was posted in Details and tagged bag, clutch, Kurt Geiger by Carolina Engman. Bookmark the permalink. Gorgeous photos! That bag is a dream! This bag is just perfect. That bag is gorgeous! It is officially on my wishlist. Whenever somebody mentions chain in connection with handbag, I am already sold! Such a classic, elegant beauty. Great choice! simple and cute!! I love it!!! It’s a stunning clutch, very classic, it goes with everything! Beautiful photo, love this bag! You always have so stunning pictures! This bag is absolutely pretty! Wow I love this! black and gold always look so timeless and chic, a staple in every wardrobe! 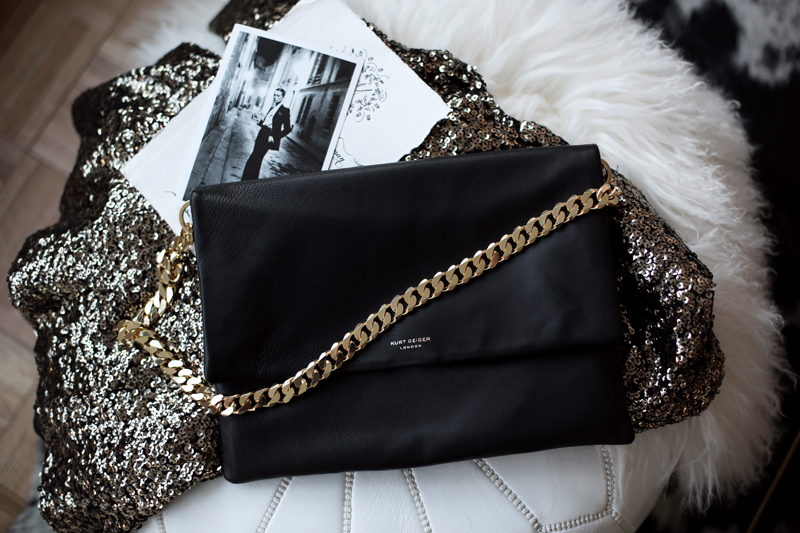 Gorgeous clutch. I just got a black bag with a gold chain. Such a great detail. Such a great clutch ! 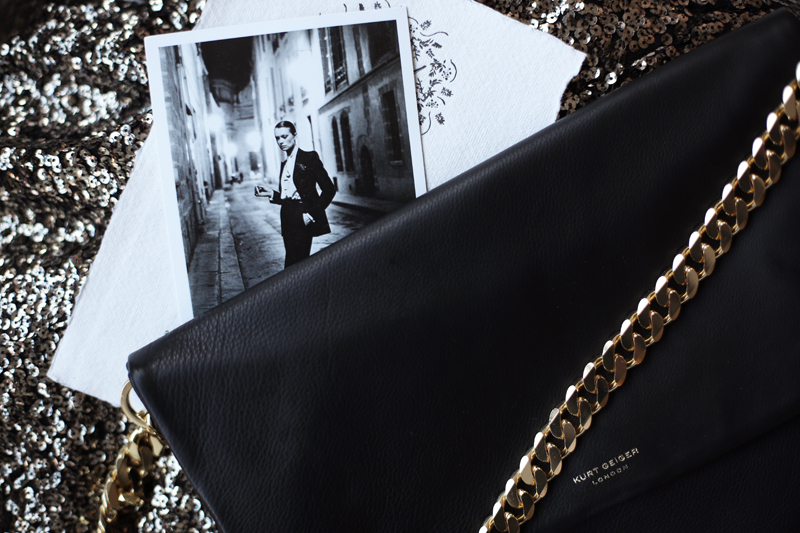 The clutch can be used in almost any outfit. Black and gold are such a gorgeous and chic combination! This really is pure love! I love it, it’s so chic and elegant! Ahh, I saw someone else as well with that clutch recently and was in love! This post pretty much cements the love, haha. Black & gold — one of my favorite combos! Such a gorgeous clutch! Gorgeous photography and set up. Lovely bag. http://Www.floralandstripes.wordpress.comi am obsessed with this clutch, amazing! Cute bag! Loving the chain detail! That purse is a beautiful, timeless piece! looking for this bag everywhere … but no luck at all.